Anywhere you go on the peninsula, you can see many of the iconic Charleston single houses--you know the ones. Well, what about those little houses more common up the peninsula, the ones that look like Charleston singles in miniature? These one-room wide, two-room deep, single-story dwellings with side piazzas and a gable roof represent a prime example of Charleston’s “vernacular” architecture--buildings that aren’t necessarily architect-designed but have a form rooted in the local architecture and local environment. Built between 1870 and the 1930s, these historic dwellings have only in the last decades received the attention they deserve. Let’s have a look, shall we? The vast majority of these cottages were built in the two decades between 1880 and 1900 (indeed, 1883 was the best fiscal year for the city since the Civil War, and there was a lot of new construction following the great earthquake of 1886). Following the Civil War, the mining of phosphate for fertilizer replaced rice cultivation and many rice mills were converted for use in the lumber business. These industries helped rebuild the area and spurred the development of new working-class neighborhoods north of the old city boundary lines. Immigrants from Ireland and Germany joined a large migration of African Americans that came to the city in search of work and settled in neighborhoods such as Elliotborough, Cannonborough, East Side, West Side, North Central and East Central. Small cottages were built amongst the larger Charleston single houses as well as laid out in tracts to house Charleston’s rapidly growing working class. According to Lissa D’Aquisto Felzer’s The Charleston “Freedman’s Cottage” An Architectural Tradition, sometime starting in the 1970s or 1980s, these cottages were inconsistently called “Freedman’s Cottages” as it was widely assumed that they were built by (or for) and inhabited by newly freed slaves; the term seemed to eventually stick and was used consistently to refer to this building style by the late 1990s. 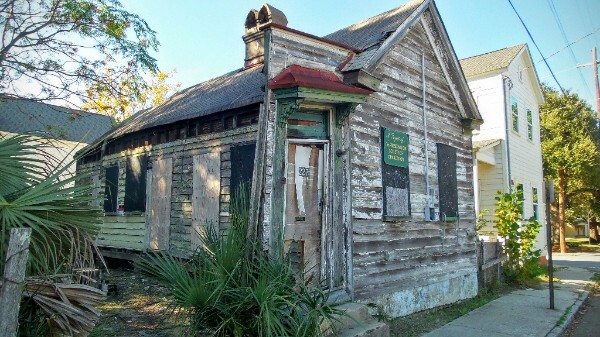 However, architectural historians have shown that the name is a misnomer: Charlestonians of all races and backgrounds inhabited the cottages at the turn of the 20th century: this was the working man’s dwelling with his family. Actually, the “poor man’s single house” is a more appropriate designation than “Freedman’s Cottage.” Now, they are more aptly referred to as Charleston cottages, which has a certain ring to it, don’t you think? Few of the earliest examples of Charleston cottages from before the Civil War survive. The oldest of these is the house at 56 Bull Street which is known as the Denmark Vesey House. One of the founders of the AME Church, Denmark Vesey was a freed slave who, as a carpenter, had a flourishing business in Charleston in the early 19th century and was once believed to have built and lived in this house. We hate to keep busting bubbles here, but, alas, this is also a myth. 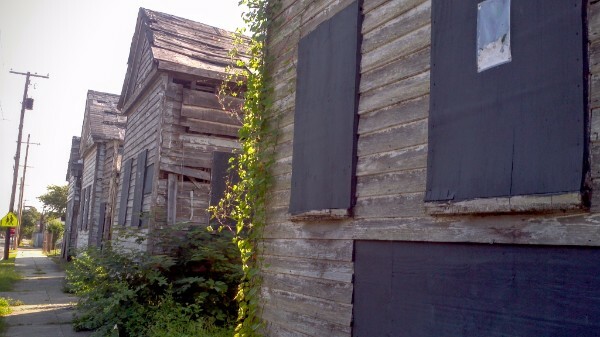 After its 1976 designation as a National Historic Landmark and in the National Register of Historic Places, the South Carolina Department of Archives and History uncovered evidence that proved that this particular residence was constructed in 1830--eight years after Vesey was executed for his role in a thwarted slave revolt. The foundation for a fireplace that predates the home’s brick piers was found under the house, indicating that another structure previously existed on this site. Whether this was where Vesey’s house was, or whether it was actually four or five houses east of this site, as some evidence points to, remains unresolved. Now, here’s something else that’s curious. It’s odd enough to find a Charleston cottage in Harleston Village, but what about South of Broad? Yep. There are actually three cottages in the same area on Council Street, between Tradd and Gibbes, that were built in the 1880s. These homes would have been near the water then and the busy docks at the foot of Tradd Street. It appears that 13 Council housed a store selling “dry goods, notions, and fancy goods;” the homes across the street at 14 and 16 Council belonged to “mulatto” mariner brothers by the name of Graddick. Their schooner Robert E. Lee used to take DuBose Heyward (author of Porgy) out for a sail around the harbor when he was a child. Charleston cottages are typically oriented on the lot in the same way as the Charleston single: narrow end to the street, with the full-length piazza on the south or west side. The dwellings were typically one room wide and two rooms deep, with a central fireplace between the rooms. Alternatively, the two rooms might have their own fireplaces on the exterior north or east wall. There was a door from the piazza to each room, and a door between the rooms. Isn’t this a curious lay-out? Historians continue to vacillate about how exactly the cottages functioned. There is some evidence that the front room was generally outfitted to be the fanciest and was used as a parlor. The original construction was what we would now consider (teeny) tiny: 300-500 square feet. Many of these had early additions to the rear of the building, rendering them “L” shaped with the piazza extended to follow the same line. Some cottages were built with three rooms and some with the rear of the piazza enclosed to increase interior space. Nowadays, you’d be hard-pressed to find an original (livable) Charleston cottage with no additions or enclosures as separate bathrooms and kitchens became the norm. Other notable variations and alterations commonly seen: the two windows fronting the street were reconstructed into one large bay window; the front door “screen” facing the street was set back or altogether removed. The Charleston cottages at 193-199 Jackson St, ca 1900 are on the Preservation Society’s Seven to Save list. 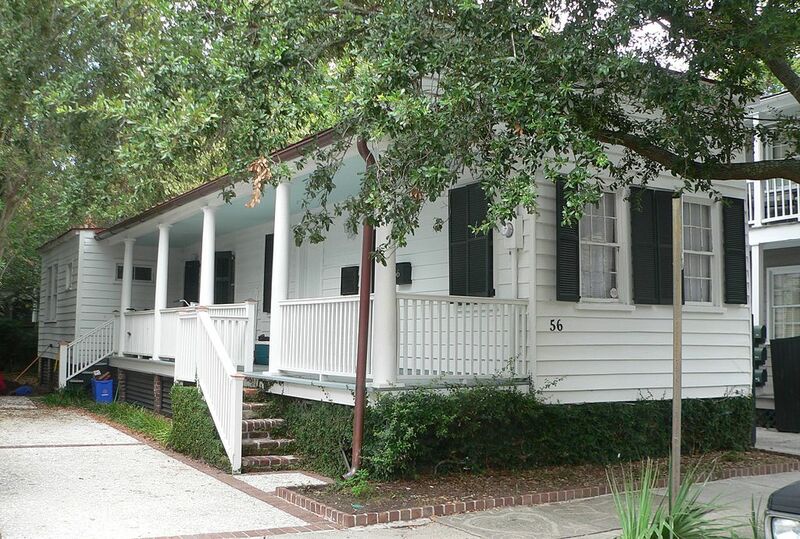 Charleston Cottages were often built in rows of 2-6 by one owner who then rented them out. Isham Lanier built and rented out dozens of single cottages between 1898 and 1919 in the area of Cooper and Line Streets, between Meeting and Hanover; 19 still stand. Mr. Lanier was way ahead of his time--he built a row of Charleston single cottages out of concrete in 1910! You can see them painted in bright colors at 101-117 Nassau Street. 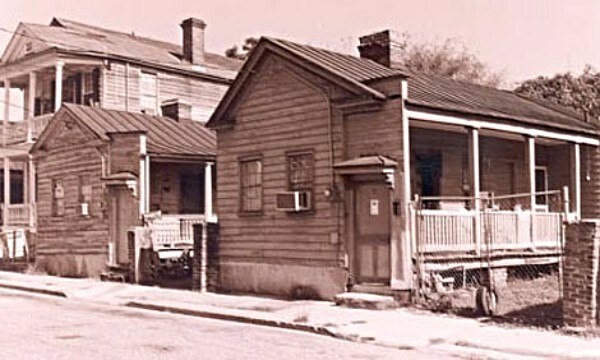 The largest known tract of Charleston cottages was built in 1889 in “Cool Blow Village” on upper Meeting Street. Commissioned by Irish immigrant Daniel O’Brian, there were at least 28 single cottages constructed; in the 1920s and 30s, they became known as the “Eickmeyer Tenements” after the owner. The complex was demolished in the 1960s, presumably as part of urban renewal. Many other groups of Charleston cottages, tucked into little courts, were cleared for the construction of the crosstown, the bridges, and large public housing projects like the Wraggborough Homes on the East Side; many others have been demolished individually over the years. It is unknown exactly how many were ever built or even how many remain now--it has been speculated there might be several hundred to a thousand left--but many are in disrepair if not utter desolation and some are under threat of demolition-by-neglect. It’s such a shame, isn’t it? 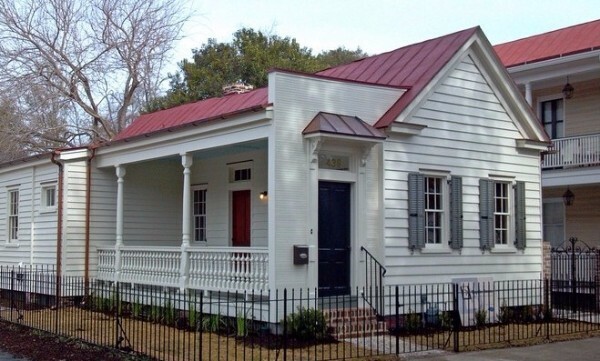 The owners of this Charleston cottage on President St earned a Carolopolis Award for their restoration. The Preservation Society and the Historic Charleston Foundation have both undertaken efforts to help preserve examples of this important vernacular architecture. The City of Charleston has also expressed a vested interest in their preservation. But, importantly, the majority of these structures stand outside purview of the Board of Architectural Review so they are essentially unprotected. The lack of public awareness of the value of these structures to Charleston’s history makes them particularly vulnerable--not only to threat of demolition but to excessive and unsympathetic alterations and additions. Upper peninsula homeowners who believe that the value of their home is dependent upon its historical integrity are more likely to find the idea of Historic District designation important; on the other hand, some homeowners believe the designation would prove to be too restrictive and would drive up home prices, thus changing the character of these neighborhoods. What do you think? 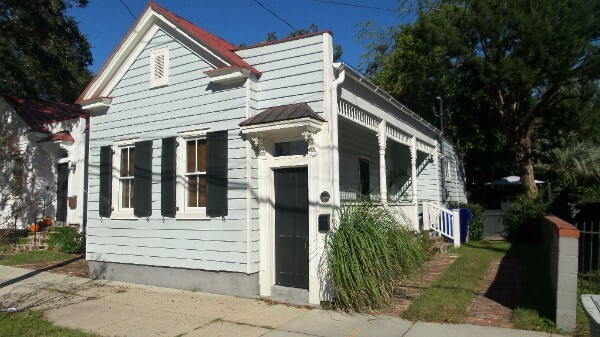 There are currently several Charleston cottages on the market...interested in owning a special piece of Charleston history? Our John Payne used to own a Charleston cottage in the West Side and knows all of the ins and outs up there. Give him a call at 843-708-0897 and he’d be glad to share his expertise!